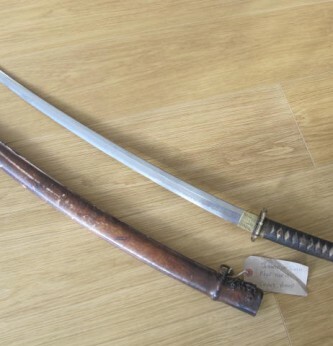 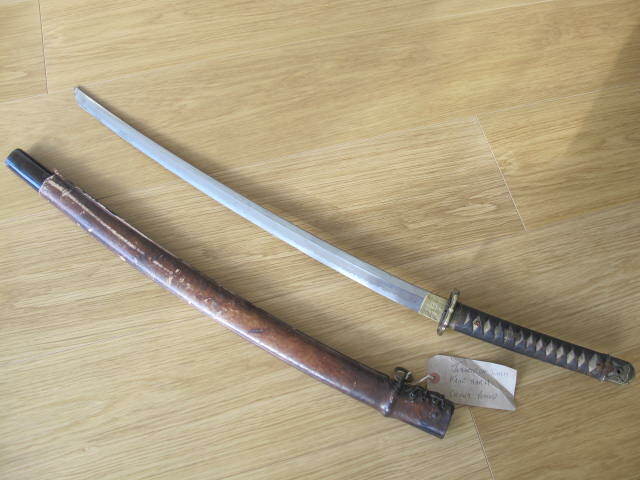 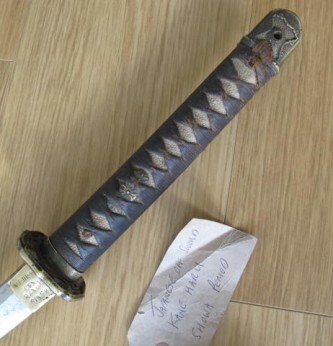 Nice WWII mounted Japanese Officers Samauri Sword. 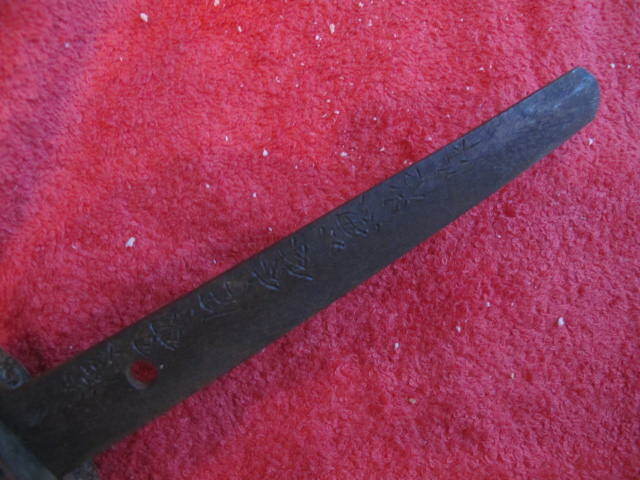 Hand made blade retaining much original polish. 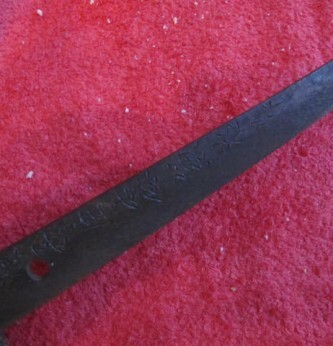 Large signed Tang. 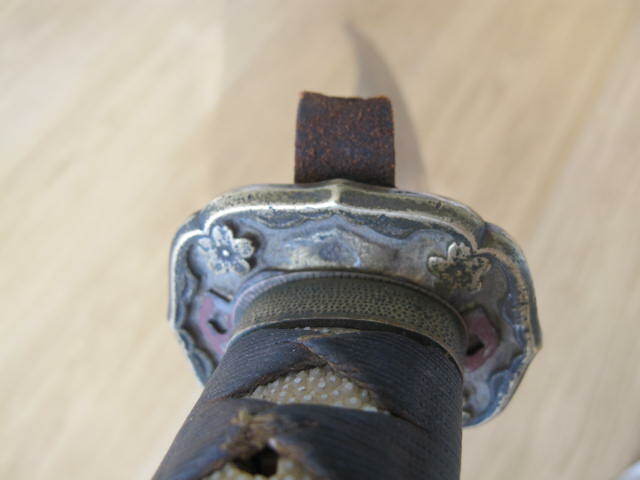 Brass military tsuba. 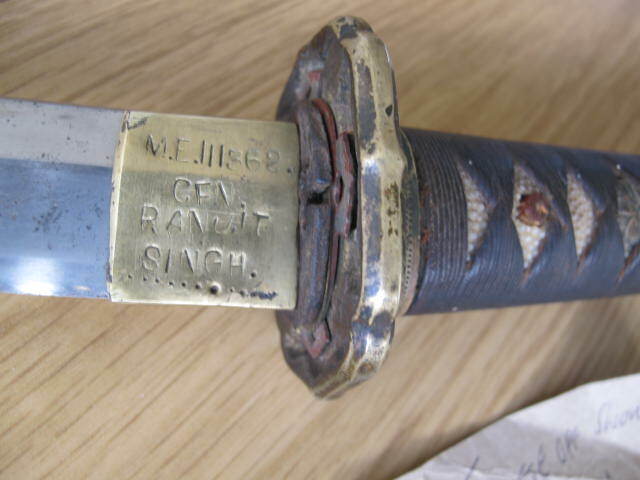 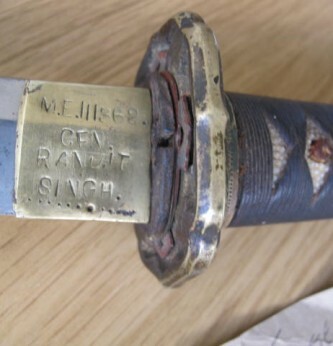 Interestingly top of blade marked on brass blade mount stamped with original owners number and name of officer who captured the sword and sent it back as souvenir. 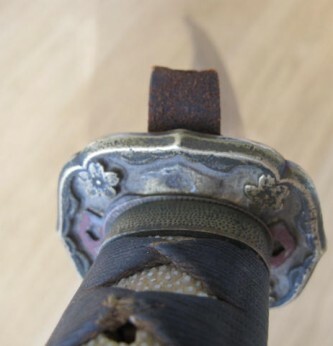 Complete in its original black lacquered scabbard which has been re-covered in brown leather for military issue. 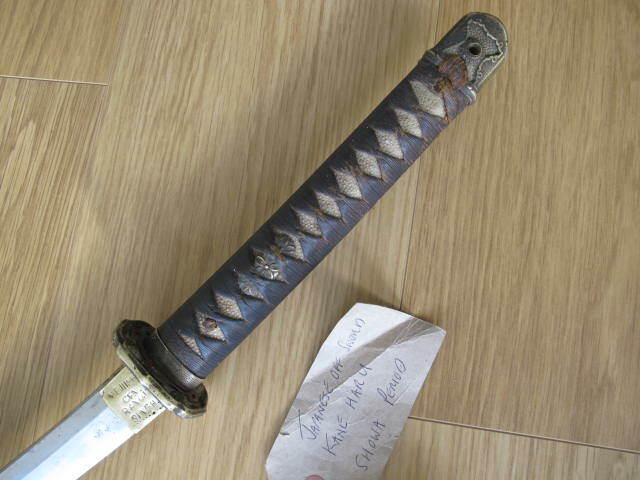 A nice handed down Officers combat Samauri Sword.